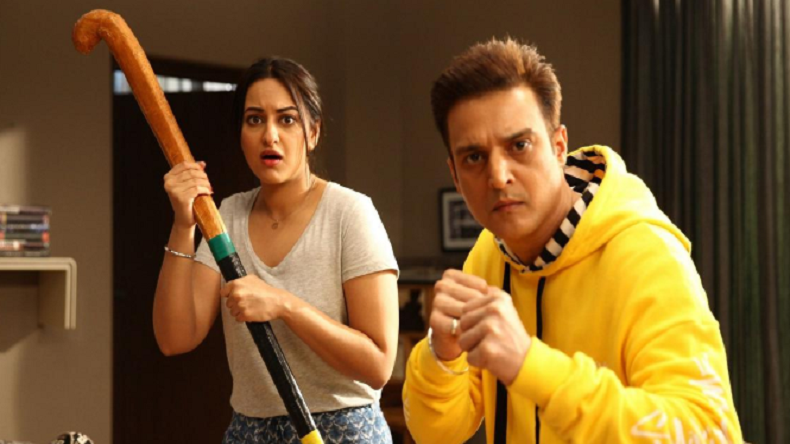 Comedy-drama Happy Phirr Bhag Jayegi starring Sonakshi Sinha, Jimmy Sheirgill, Ali Fazal and Jassi Gill has been going rock-steady at the box office. The film, which opened to Rs 2.70 crore, has now collected Rs 15.54 crore in the first week of its release. Comedy-drama Happy Phirr Bhag Jayegi starring Sonakshi Sinha, Jimmy Sheirgill, Ali Fazal and Jassi Gill has been going rock-steady at the box office. The film, which opened to Rs 2.70 crore, has now collected Rs 15.54 crore in the first week of its release. It is also being expected that the film will soon cross the lifetime biz of the first part titled Happy Bhag Jayegi which had a lifetime biz of Rs 17.65 crore. The previous part featured Diana Penty in the lead role and in the second part Sonakshi Sinha will be the one who will be on the run. Happy Phirr Bhag Jayegi is the sequel to 2016 film Happy Bhag Jayegi. Both the films emerged as hits. Happy Phirr Bhag Jayegi is also facing tough competition from Akshay Kumar-starrer Gold and John Abraham-starrer Stayameva Jayete which have been doing great at the box office. #HappyPhirrBhagJayegi is STEADY on weekdays… Will easily cross *Week 1* biz of the first part [₹ 17.65 cr]… Will it cross *lifetime biz* of the first part, is to be seen… Fri 2.70 cr, Sat 4.03 cr, Sun 5.05 cr, Mon 2.05 cr, Tue 1.71 cr. Total: ₹ 15.54 cr. India biz. Happy Phirr Bhag Jayegi has been helmed by Mudassar Aziz and has been bankrolled by Anand L. Rai and Krishika Lulla. The film was released on August 24. A good word of mouth has helped the film do good business at the box office. The performance of the entire star cast has also been appreciated.